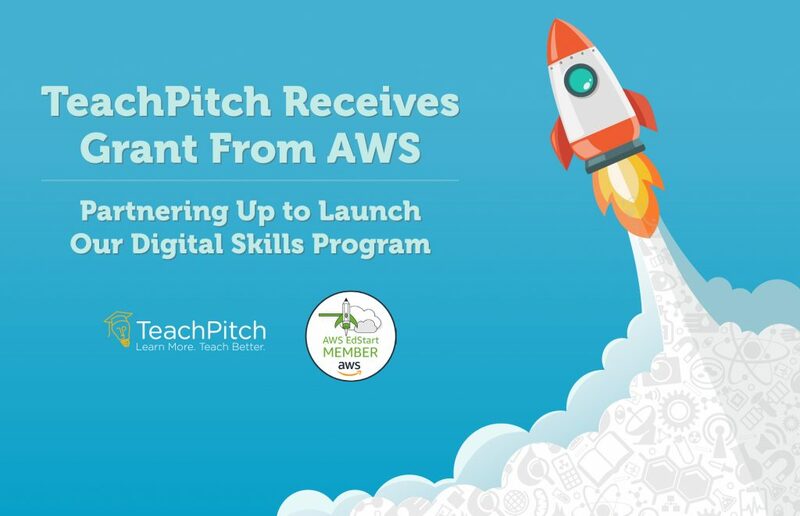 Team TeachPitch is very happy to announce that it is joining the AWS EdStart Family, receiving a full year of funding & mentoring support to ensure that it can successfully launch and grow its Digital Skills Program. The Digital Skills Program is our new peer-to-peer tutoring platform that allows educators to teach each other for the further advancement of their digital skills in the school and classroom. Candidate teachers are carefully selected, interviewed, certified & coached to become Digital Skills Instructors on our platform. All (recorded) tutorials are extensively marketed to a target audience and our instructors receive payment for each lesson they deliver. Hundreds of teachers have already applied and with the support of AWS, we will be able to help hundreds more. A big thank you to AWS EdStart for its belief in us and Digital Skills. As always, please do not hesitate to contact us should you have any further questions or ideas. Click here if you are interested to participate in our Digital Skills Program. ← We are 4 years old today!